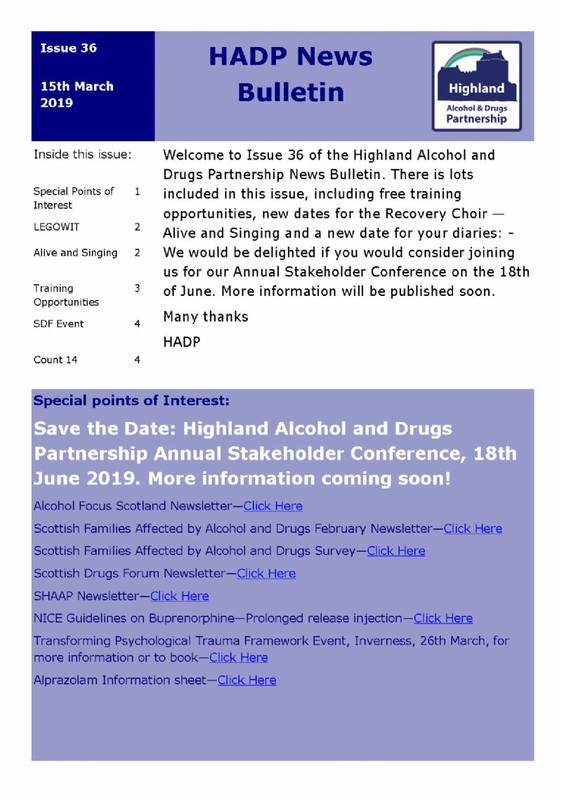 The Highland Alcohol and Drugs Newsletter / News Bulletin is produced regularly to share information on the latest news, upcoming events and training. 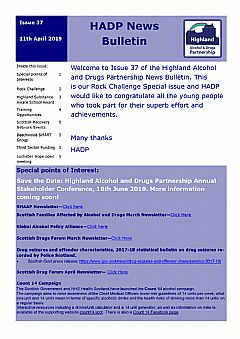 Please click on the images below to view the newsletter or subscribe in the section below. 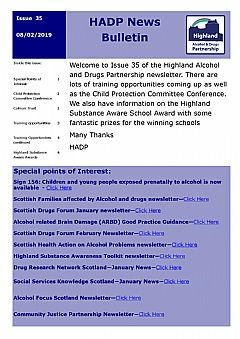 Past issues of the Bulletin can be found in the Archive. You can unsubscribe from our newsletter at any time by clicking here. If you would like to contact us, then please use our contact form. 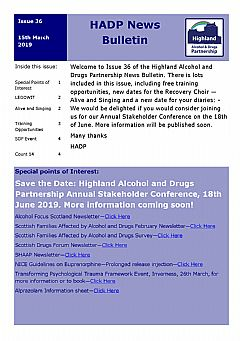 You can also 'phone the Team on (01463) 704603 or simply email us at info@highland-adp.org.uk.